Integrity is a messy issue to address in organizational life. Yet integrity may be the single most important issue to address, today, as we experience unprecedented change with greater disruption and complexity. These times demand the stability and consistency of systems and people with integrity. 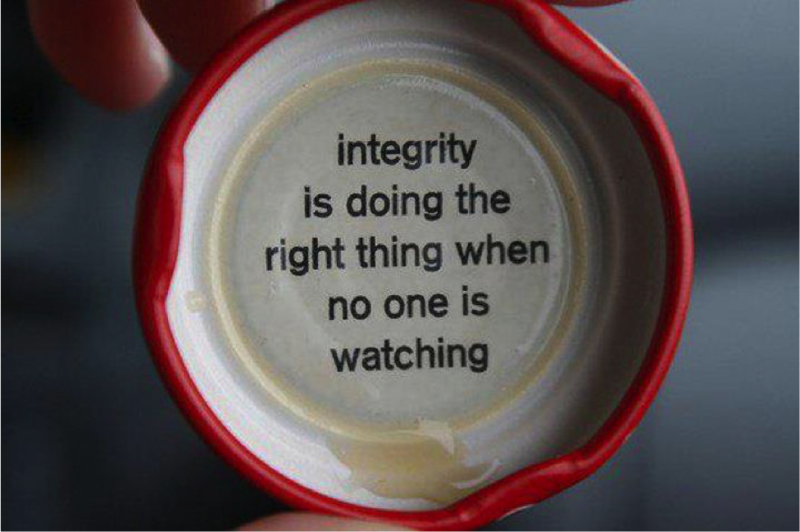 And yet, the way we view integrity, makes it complicated to address. 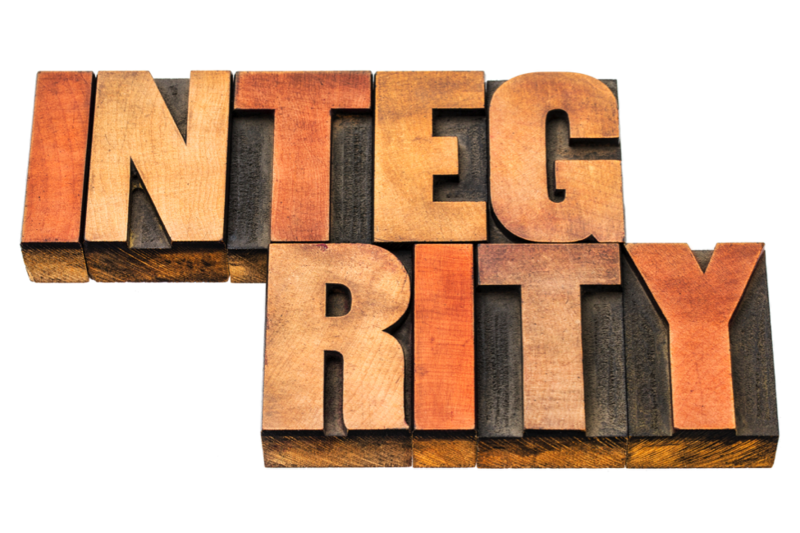 This two-part blog revisits integrity. In this blog, we explore it as a function of our word; our next blog examines some of the blind spots of integrity. Together, these blogs present a framework with practices to strengthen our integrity. Think about it, when questioning integrity, we usually take it as an assault on our moral or ethical character, rather than an indication of something that’s missing. Morality: I engaged in an activity that lacks integrity, so I am not virtuous or principled. Ethical: My lack of integrity indicates bad or wrong behavior. Normative: My lack of integrity means I am not perfect. I am deeply flawed, worse than others, and lack character. Legal: I break laws, and lack integrity. I am a criminal. Choose your poison – bad, wrong, criminal, flawed, lacking character – all seem shameful. These normative or prescriptive views of integrity keep us trapped in ideals that prevent us from having the most important conversation today in organizations: How do we hold ourselves, or hold others, accountable for broken agreements? We can resolve this, if we shift our view of Integrity from prescriptive to descriptive as its origins suggest: as the state of being whole and complete. 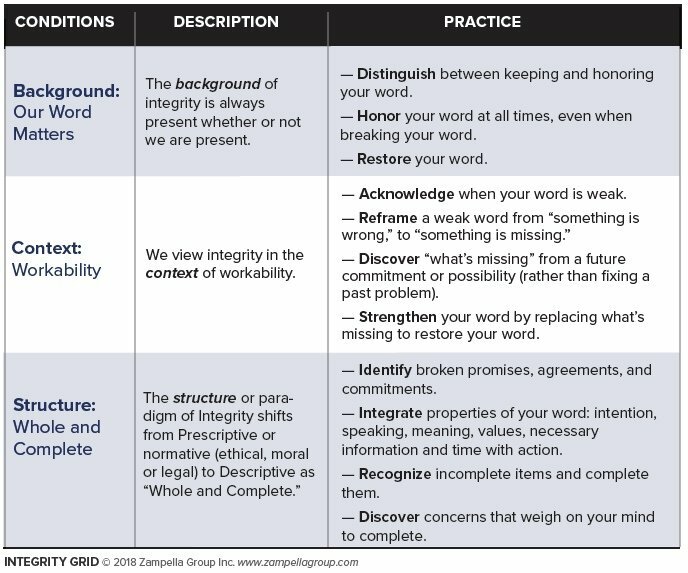 If we explore integrity from this descriptive view, we can see that items function optimally, when they function as designed or as they were meant to be. For instance, what is essential for a four-legged stool to function well? At its essence a four-legged stool requires four-legs. If a leg is missing, it is out of integrity. It cannot function as it was designed. Would you sit on that stool? It might hold you up for a bit, but it would not function as designed, and soon you would come crashing down. For anything to be whole and complete is to simultaneously accept that 1) it must have all of its parts, together, as designed, or 2) it lacks the integrity or coherence to be or function as it claims. The consequence: It is not sustainable. Sit on the stool at your peril. This seems easy to observe with objects like stools or even data systems. Would you enter a piece of corrupted data into a data system? Why not? That corrupted piece would render the system broken, incoherent and incomplete. Now, add in the human equation. What is it we assess or measure when we speak of integrity? For humans, this is as simple and as messy as our word, nothing more and nothing less. Simple because we all have access to our word; messy because of the unlimited possibilities and interpretations of our word. To confer our word as co-creating our world is to view our role in reality very differently. So, then, what is our word worth to us? What is it for our word to be whole and complete? What will it make possible in our agreements, our communications, and our ability to plan, predict, and collaborate? Proposition-1: That I will do what I say I will do, as I said I would do it – nothing more and nothing less. Proposition-2: If I cannot do what I said as stated, then I will immediately communicate everything I must to all parties to lessen the impact and to restore my word. Supposition: Following propositions 1 and 2, I can restore my word to a clean baseline, allowing me to create new agreements and make new promises. All we can ever be is who we say we are. Who we say we are is then measured by the wholeness and completeness of our deeds, based on how we keep or honor our word. Integrity in this way is an essential component in building trust by becoming trustworthy. We include this as the first pillar of trust as developed in a previous blog. What if this could be that simple? If we simply could bracket any notions of virtue, goodness or being bad, or flawed. What if we could have conversations about integrity with office workers? What if this led naturally to greater accountability? What if these conversations could create a system where every conversation actually strengthens our ability to live our word as whole and complete? This may seem Pollyanna but it’s not. These are after all, just a matter of conversations. Once we accept this view of integrity, we can invite others to hold us accountable. And, we can engage in clear and clean conversation to hold others accountable, to identify broken agreements, and to strengthen our word. Still, to be clear, this is work. It requires a framework with some practice for living our word as whole and complete. I offer a framework to begin this practice of reconstituting our word from a 1) Background, 2) Context and 3) Structure, as follows. We begin by acknowledging that our word is at stake and that a weak word impedes our ability to make promises, create agreements, and engage commitments. That is, we are constrained in the ways we coordinate action and collaborate with others. Most people are unaware how their word creates their world: how we make promises often causally without any intention for delivery, or whether we understand what’s required to coordinate action to execute on promises. Our eBook on Generative Language and Speech-Acts details much of this dynamic. What’s my word worth? This is a great question as we view integrity from the background that our word matters, in the context of workability, and structured as whole and complete. We are oblivious to the kind of information required to forward action on agreements, or we agree to items without clear lines of accountability, and when we come up empty we just shrug off tasks or fail to hold others accountable. For leaders, especially, a weak word is like a virus. It infects others who then learn from our actions not to rely on us. Rather than trusting us at our word, people wait for hard evidence, or for others to act — to verify if we really mean what we say. Waiting becomes a self-­fulﬁlling prophecy, giving permission for others to wait. Inaction takes a heavy toll on organizations: missed opportunities squander time and ﬁnancial resources; expectation of inaction lowers morale, discouraging initiative; and the consequence of inaction fosters resignation, encouraging cynicism. Our word is always in the background as we engage others. When we issue promises, form agreements, initiate commitments, coordinate action or collaborate, people continually assess, can I believe this person? Keeping v Honoring Our Word. To strengthen our word requires first that we realize our humanity: we will break our word. To complicate this, most confuse keeping our word with honoring our word. In times of disruptive change and increased complexity, we navigate the ambiguity of life. Given the state of uncertainty and our own human nature, we can expect that leaders who are playing a big game and creating unpredictable futures will break their word (will not be able to keep it) because they must operate in the unknown. Indeed, here’s the paradox – leaders that never break their word are playing a small, comfortable game, advancing a very predictable mission that requires little risk, predictable change, and ultimately no possibility. While it’s unavoidable that we will break our word, we can ALWAYS honor our word. When we break our word, we can always do so with integrity, and honor our word. To honor our word is to honor ourselves as co-creators. First, we accept any consequences of breaking our word; second, we communicate with all parties before or after it happens; and third, we clean up any mess or upset we created to restore our word with ALL parties. So breaking our word does not impede honoring our word. Said another way, we can engage a cost-benefit analysis on keeping our word (whether we can deliver a promise). We cannot engage a cost-benefit analysis on honoring our word (whether we own our promise). To do so would lead to deception, breaches in trust and feelings of betrayal. We would be deemed untrustworthy. In sum, our word matters. It co-creates the workability of our lives. 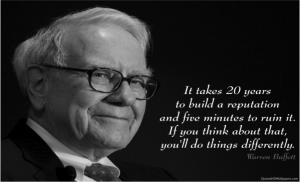 The context for integrity is workability. Through our word as whole and complete we create workability as we interact with ourselves and others. We can assess the strength of our word by the level of workability in our lives. If workability suffers, we must look inward at the strength of our promises, agreements, and commitments. Do we communicate expectations, identify details, and layout conditions of satisfaction? And do these match what we’ve stated? Do we communicate with everyone needed? Do people know what to expect from us and do we honor those expectations? Most of us are clueless to workability. If we reflect on our efforts and check in with others, we can see where we are placing more effort to keep things together. Like a wheel out of alignment that requires more effort to keep it on the road, this reveals lacking workability. Like our four-legged stool with a leg missing, lacking workability is not wrong nor bad; it’s simply missing something fundamental for its optimal functioning as designed, or intended. organize information to coordinate action. Workability is inescapable. If people are letting you know about lacking workability take it as an opportunity to strengthen your word. A weak word or lacking workability will show up as the experience of yourself missing deadlines, not returning calls, unprepared for meetings, not replying to emails, or accumulating unfulfilled promises. Recognizing a weak word can offer opportunities to shift your perceptions about what you know, where you may require support, or what’s possible to increase workability. In sum, we can always explore how we make and execute promises, requests, offers and agreements to ensure that we restore our word to a state of whole and complete. Remember, the underlining structure of integrity is that your word is organized to operate at a state of wholeness and completeness. The pertinent item here includes this notion of organizing one’s word for being whole and complete. Being Whole for our word requires that we own and include all the dimensions of our word: Our intention, speaking, meaning (interpretations), and necessary information, which aligns actions to fulfill our promises, agreements and commitments. We will notice what is or isn’t whole when things become unworkable or in some ways, “broken.” To assess this requires a keen sense of workability in your life (#2 above). Take inventory of incomplete items in your life you’ve put off. Begin with a list of mundane tasks such as repotting plants, tuning your car, filing taxes, balancing accounts, or visiting the dentist. We will examine this “incomplete dynamic” in our next blog. The practice of completing items, however, builds muscle for the following items. Follow through on items as you said you would when you said you would, and communicate the status of any changes in projects to all relevant parties. Following through involves meaning yes when you say yes, and seeing things through to completion. Notice what’s weighing on our mind as “concerns.” Consider this example: We know how we will pay our rent or mortgage, we know when it’s due, and we know how much it is. So then, what would it take to remove this as a “concern?” How can we be complete with this item to ensure it is managed, and to let it go? Remove concerns from our mind frees us up to become present to our word, and open to receiving our world. This level of awareness and openness will lead to being at peace. T-R-A-F is a system for managing items that clears space for yourself. It stands for Trash it, Request/Refer it, Act on it, or File it. From this practice for receiving items, you will lessen your load and free yourself. Do what I can do now and schedule everything else to be handled at a time when I can forward action on it, or complete it. Even though I’m not finished, I am complete with it as a concern weighing on my mind – and able to move on to other items. Consider this question: What’s my word worth? This is a great question to hold close as we view integrity from a different paradigm: from the background that our word matters, in the context of workability, and structured as whole and complete. Continued practice with your word will find yourself unrecognizable as you choose and act differently. In the next blog, I will examine some of the blind spots of integrity that enable incomplete items in our lives.